Home » Travel » GrabTaxi officially launches in Baguio City! Southeast Asia’s leading on-demand transportation app has now found its way to the Summer Capital of the Philippines. 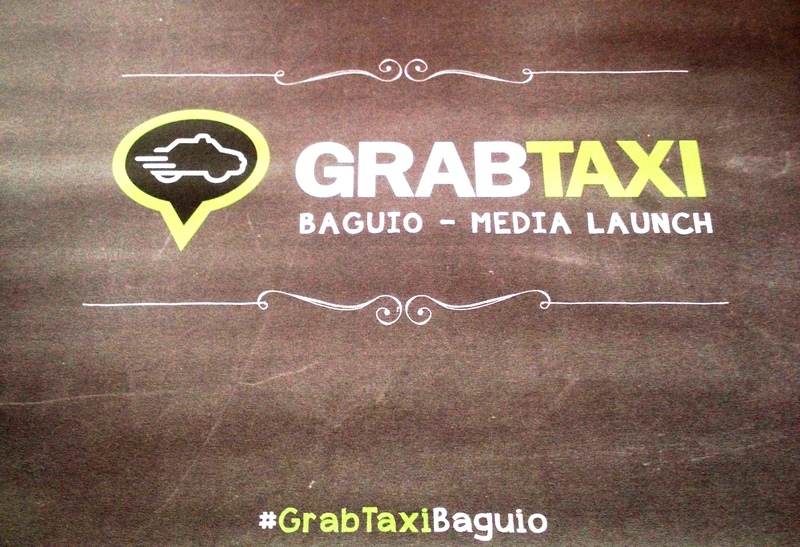 Last August 5, 2015, GrabTaxi was officially introduced in the Media Launch Event at the Baguio Craft Brewery. One of GrabTaxi’s Mission is to bring safe and convenient transportation to its new customers in the metro. Baguio is the sixth city in the Philippines to avail of its services, alongside with Manila-NCR (August 2013), Cebu City (July 2014), Davao City (October 2014), Iloilo City (March 2015), and Bacolod City (April 2015). The app aims to service the quarter-of-a-million residents and the millions of tourists visiting the City. This state-of-the-kind technology was started in 2012 by Anthony Tan and Hool Ling Tan, two Harvard Business School graduates, in Klang Valley, Malaysia, and is known originally and locally as “MyTeksi.” They have come up with such idea because of the horrible stories they have heard about the worsening taxi industry in Malaysia. With that circumstance, they developed an app that would overhaul the taxi industry in their country using the booming smartphone technology. MyTeksi was then the very first of its kind in Southeast Asia using a smartphone-to-smartphone platform in booking and dispatching taxis. At present, GrabTaxi is present in 6 Southeast Asian countries (in 24 key cities), namely: Malaysia, Singapore, Philippines, Thailand, Vietnam, and Indonesia. And they aim to target more key cities in Southeast Asia in order for the app to be used as widely as possible in the Region. With its landslide success, GrabTaxi is presently the largest taxi booking app and one of the fastest growing for-profit social start-up companies in the Southeast Asian Region. GrabTaxi is bound by their 3-pillar principles: Safety, Certainty, and Speed. The company revolves around these standards to solve the problem of making passengers wait for a taxi and making drivers waste their time looking for a customer. By optimizing the latest smartphone technology and multiple data points, GrabTaxi also has a feedback mechanism where passengers and drivers alike have the option to share their thoughts about their trip using their platform. Through the feedback mechanism, GrabTaxi ensures both driver and passenger that the system will continuously evolve and improve its services to give the best service possible. Besides the GrabTaxi App, the platform also has an automated dispatching solution for taxi operators and call center operators. Their GPS (Global Position System) smartphone-based dispatching system cuts down taxi operator allocation time from 15 minutes to 3 minutes. That strategy would then increase the number of passengers in a given time frame while reducing cost (e.g. fuel, time). The app would also let passengers have a live view of the real-time locations of their drivers before boarding. 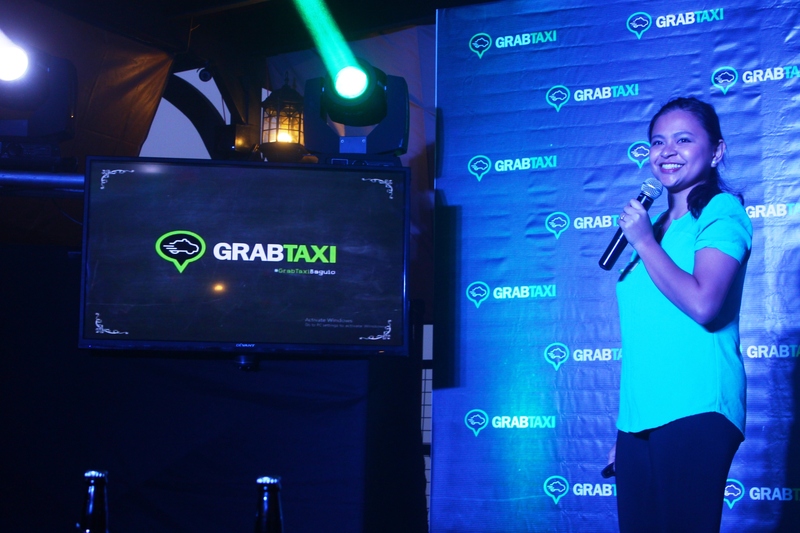 During the Media Launch Event held at the Baguio Craft Brewery, GrabTaxi introduced itself to all its attendees as the leading smartphone technology for booking and dispatching taxis. “Aside from improving the commuting experience of the passengers, this expansion [in Baguio City], following the success of the app in Metro Manila, Cebu, Davao, and Iloilo, also means (the) creation of more jobs all over the Philippines,” said Poch Ceballos, GrabTaxi Head. The live tracking features and knowing the driver’s details beforehand, plus the option of sharing your whereabouts privately or on social media through the “Share My Ride” function, the option of giving a tip to the driver, and by letting you have the opportunity to tell other notes or remarks to the driver, through the “Notes to Drive” function, you are now assured of a safe and convenient commuting experience – the first in Baguio, of course. The GrabTaxi team had a one-month test run last July-August 2015. The results were good, but at present, they only have 30% of the total number of taxi drivers registered to their GrabTaxi system in Baguio. In the coming months, they would like to tap at least 50% more of the total number of taxis in the City in order to widen their service coverage. Lim added that they saw the need of bringing GrabTaxi to Baguio because of the growing BPO (Business Process Outsourcing) Industry in the City and because of the influx of tourists coming every year. She also said that they don’t consider bringing GrabCar and GrabCar+ in Baguio yet as they still want to perfect the system first before considering such options. For the operators who wish to be part of the ever-growing GrabTaxi family, you would want to visit their Baguio Site Office at 133 Magsaysay Avenue, Barangay Happy Homes, Baguio City (near Supreme Hotel). The system is not open for (a) franchise and you must contact GrabTaxi directly. In order to be part of their team, the operator must be duly registered with the Land Transportation, Franchising, and Regulatory Board (LTFRB), no colorum taxis are also allowed to join. Once application is approved, the drivers of the operator will now then undergo a 3-day to 1-week training about the do’s and don’ts of GrabTaxi, and their drivers will be given a micro-financed GPS-equipped smartphone and that the cost of the phone will be borne of the taxi driver through the booking fees collected from every trip. Ms. Khriztina Lim explaining what and how GrabTaxi App is used. Ensure that your GPS (3G, 4G, LTE, etc.) is turned on. The app will detect your current location. Tap GrabTaxi and the app will detect the number of GrabTaxis nearby. If you are using GrabTaxi for the first time, you’ll need to perform a one-time activation process. You can add a note to your driver to help locate you. Example: “I’m wearing a red t-shirt” or “House No. 27.” You can add a tip if there is difficulty in getting a GrabTaxi. After 1 minute, you’ll know if a GrabTaxi has been assigned to you. The app will display your driver’s name, picture, and plate number together with an ETA (expected time of arrival) to your location. The app will then track your driver’s progress to you. You can call your driver at any time to give additional details. You can SMS, e-mail, or share a link to your family and friends so they can track your taxi ride in real-time. 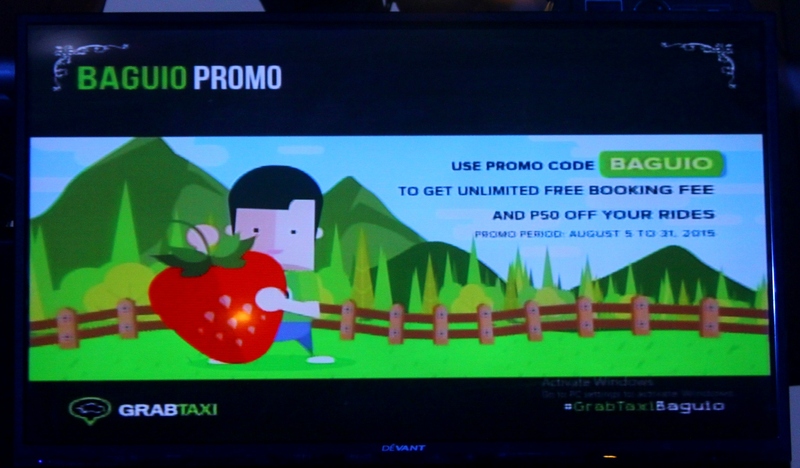 Everybody loves promos so to give you another special treat this month, GrabTaxi is promoting the promo code BAGUIO (all caps). This ongoing promo will waive your booking fee of PhP 25.00 and will also deduct PhP 50.00 from your metered fare. Promo is from 05 August to 31 August 2015 in Baguio City only! So Grab your Taxi Now! For GrabTaxi’s Press Release, click here!